The financial crisis of 2008 has thrown many of the mergers and acquisitions of recent years into sharp focus. Too many have failed to generate real value for shareholders and many others have only proved lukewarm successes. Although it is impossible to assess accurately the extent to which these failures may be the result of poor planning and execution, they have raised considerable questions about the process, breadth and effectiveness of traditional due diligence activities. 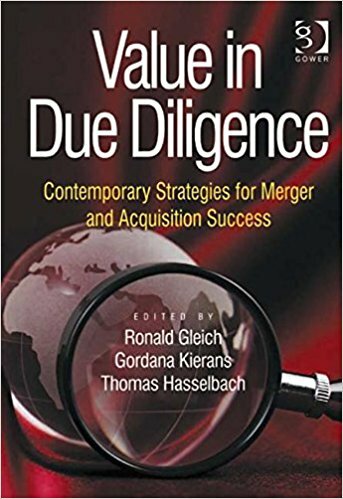 Value in Due Diligence explores new applications for due diligence including areas such as corporate culture, social responsibility, and innovation. It also examines the due diligence process itself to draw out those elements that provide effective risk and opportunity management as opposed to simple compliance.